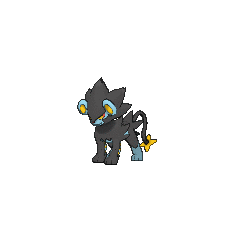 Luxray in game: 816 Who? Important notice! Pokemon Luxray is a fictional character of humans. Luxray (Japanese: ??? ?— Rentorar) is an Electric-type Pokémon introduced in Generation IV. 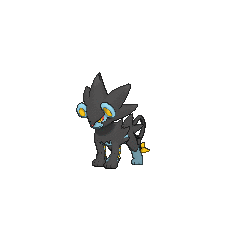 Clemont's Luxio evolved into Luxray in The Future Is Now, Thanks to Determination!. 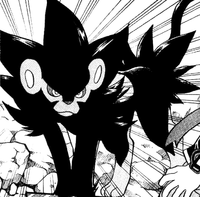 Luxray first appeared in The Rise of Darkrai. During Alice's flashback, Alicia was running up a hill to the garden. She saw Luxray fire a Hyper Beam upon Darkrai, but Darkrai retaliated with a Dark Void, trapping Luxray into a nightmare. However, Alice played Oración, allowing it and the other affected Pokémon to sleep peacefully. Marble owns a Luxray, appearing in Luxray Vision!. Three Luxray appeared in Arceus and the Jewel of Life under the ownership of Damos. Another Luxray appeared in The Fleeing Tower of Sunyshore! under the ownership of Volkner. It also appeared in The Eighth Wonder of the Sinnoh World! where it was used in the Gym battle against Ash. A Luxray is used by one of the students of Pokémon Summer Academy in the first leg of the Pokémon Triathlon in One Team, Two Team, Red Team, Blue Team!. Another Luxray got a cameo in An Old Family Blend!, under the ownership of Jeffrey. A photograph of a Luxray appeared in The Four Seasons of Sawsbuck!. In Pokémon Adventures, Mars used her Luxray to steal energy from Valley Windworks. In the graphic novel releases, however, Electivire assumes this role. Later, when the trio is traveling through Mt. 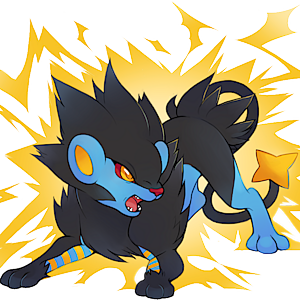 Coronet, a Luxray that evolved from a Luxio they had helped earlier in their journey saved Pearl and Platinum after they were trapped by a rock slide. This same Luxray later appeared to Pearl as he was traveling to Lake Valor, and, after defeating the Houndoom that was trying to burn them alive, joined him as his third Pokémon, now named Rayler. Hareta's Luxio evolved into Luxray during his Pokémon League battle with Koya. 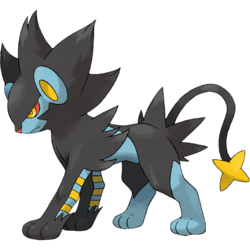 Luxray is based on an adult male lynx or lion, or possibly the constellation Lynx or Leo, due to the fact that it resembles the animals and bears a star shape on the end of its tail. Furthermore, in European mythology, the lynx was said to have the power to see through solid objects, exactly like Luxray. Luxray may be derived from lux (Latin for light) and x-ray (referring to its x-ray vision). Rentorar may be a combination of ????? 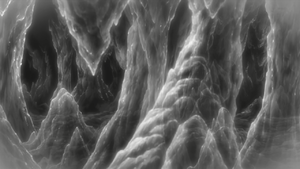 rentogen (x-ray) and ? tora (tiger).